MacNAB, Sir ALLAN NAPIER, politician, businessman, land speculator, lawyer, and soldier; b. 19 Feb. 1798 at Newark (Niagara-on-the-Lake), Upper Canada, third of seven children of Allan MacNab and Anne Napier; d. 8 Aug. 1862 at Hamilton, Canada West. Allan Napier MacNab’s father had been a lieutenant in John Graves Simcoe*’s 2nd corps of Queen’s Rangers which saw action in the American revolution. Put on half pay, he settled in York (Toronto) where he was denied further military preferment and a high civil placement. 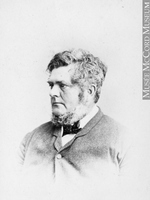 A sometime bankrupt, Allan MacNab struggled on the fringe of Upper Canada’s Tory society. Into this rather unstable atmosphere Allan Napier MacNab was born. Despite the family’s financial problems, he briefly attended the Reverend George Okill Stuart’s Home District Grammar School at York. Contacts established by his father with the York civil and military establishment would be of use to him in his future career. Even more important, he absorbed his father’s love of the military, intense social and economic ambitions, and perseverance under adverse circumstances. In the War of 1812 MacNab, 14 years of age at its outbreak, gave full rein to his martial instincts. He saw action at Sackets Harbor, Plattsburgh, and Black Rock, N.Y., and at Fort Niagara. In March 1814 he was promoted ensign in the 49th Foot. His military career curtailed by regimental cutbacks at war’s end, MacNab searched restlessly for alternative employment. In 1816 he entered the law office of Judge D’Arcy Boulton* Sr. That MacNab took nearly twice the average time to qualify at the bar was a result of his inadequate education and his preference for active work. 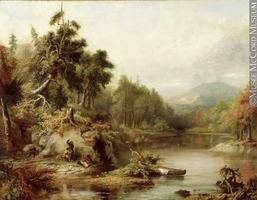 Thus in his early years he dabbled in acting, carpentry, and land speculation, and in 1820 renewed his military connections as captain in the York militia. Even his marriage in 1821 to Elizabeth Brooke, daughter of a British soldier, failed to have a settling influence. Not until his wife’s sudden death while giving birth to their second child in January 1825 did MacNab begin to exercise some discipline over his life. He was called to the bar in 1826. He decided against staying at York, where the avenues to advancement seemed blocked by the Allan, Robinson, Boulton, and Strachan families. 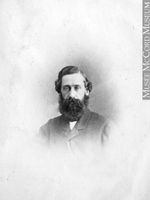 MacNab was always reluctant “to accept a minor part,” and instead set up office as the first resident lawyer in the small but growing community of Hamilton, where he hoped advancement would be easier. Capitalizing on his father’s relations with the Jarvis family, he quickly befriended William Munson Jarvis, sheriff of the Gore District, whose family provided crucial business and political support. Law contacts also drew him close to the important Chisholm family of Oakville and the Hatts of Ancaster. Moreover, John Beverley Robinson, also a veteran of 1812, secured for him the position of notary. In August 1827 he successfully defended several prominent Hamilton Tories charged with tarring and feathering George Rolph, a Reformer who had been accused of adultery and whose lawyer was William Warren Baldwin*. MacNab’s legal practice benefited and within a year he had at least one student articling under him. 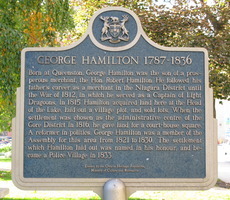 He was now able to buy and develop land in the Hamilton area. Partly through the Chisholms, MacNab was appointed in May 1830 lieutenant-colonel of the 4th Regiment of Gore militia. Dependent on him at this time were four unmarried sisters, his recently widowed mother, and his two children. In September 1831 he married Mary Stuart, daughter of John Stuart, formerly sheriff of the Johnstown District, and niece of George Okill Stuart and Henry John Boulton. The marriage provided further links to influential persons and was, as it turned out, a very compatible union. MacNab understood well the mechanics of preferment, but it was chance that propelled him into the public eye. In 1829 he had refused to testify before a committee of the House of Assembly chaired by the Reformer W. W. Baldwin, which was investigating the hanging in effigy of Lieutenant Governor Sir John Colborne at Hamilton by a Tory mob. 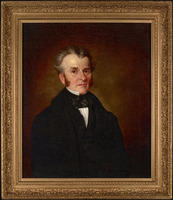 Prodded by William Lyon Mackenzie, the house sentenced MacNab to ten days in jail for contempt. It is doubtful whether MacNab anticipated such an outcome. But he became a Tory martyr, an image he exploited effectively in the 1830 election when he and John Willson* defeated the Reformers in Wentworth County. MacNab’s first term in the assembly was inauspicious. He was convinced that it would be unwise to identify with any single group in a political atmosphere characterized by fluid factionalism. 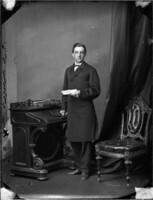 As a first step in increasing his political influence in the province MacNab sought to strengthen his ties in the Wentworth region. Political power was only as strong as one’s regional roots and MacNab’s required much cultivation. 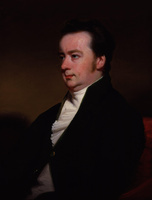 He thus sought, with William Hamilton Merritt of St Catharines, the Chisholms of Oakville, and the Bethunes and Cartwrights of the Cobourg-Kingston area, to decentralize and redistribute the commercial and political power of the York clique. MacNab had to step lightly. 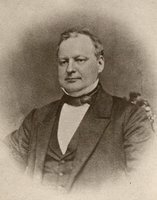 Not only was he faced with stiff political opposition in Wentworth led by James Durand of Dundas, but also he was indebted both to York’s financial institution, the Bank of Upper Canada, and to many York contacts for his current advancement. W. L. Mackenzie, an ally of the Durands, had first priority. Bested by Mackenzie both in the assembly and at a political meeting in Hamilton, MacNab countered by seconding a motion in December 1831 to expel his rival from the assembly on grounds of libel. It was the first of five expulsions; in all MacNab was active. The significance of these expulsions soon transcended personal vengeance and even party strife. 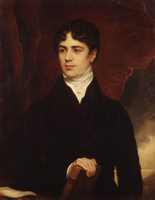 By spearheading the attack against the irascible editor, MacNab was able to gain power in the assembly and maintain a link with Tory York. This bridge was sorely needed as, in its shadow, intra-party manoeuvring and contending over the control of Upper Canada’s commercial and economic power was occurring. The intra-party struggle was most evident concerning banks and land speculation. As credit tightened, MacNab faced the prospect of a confrontation with his creditors in York. But the clash was delayed by the death of Wentworth’s land registrar. Whoever controlled this office could quietly acquire choice, undeveloped land in the Wentworth area without the necessity of a public auction. After a bitter struggle with James Durand, MacNab in April 1833 secured this appointment for his brother David Archibald. He had gained a seemingly impregnable hold over Wentworth’s land development and, as a result, a firm grip on the county’s commercial and political future. It was a fleeting victory. Peter Robinson*, commissioner of crown lands, wishing to curb rampant speculation in land and thereby retain York’s hold over Upper Canada’s development, issued an order in council on 8 Nov. 1833 which tightened and centralized control over land speculation. This move undermined MacNab’s coup and pushed him into open conflict with the capital. Interpreting the order in council as an attempt by York Tories to bypass local “dealers in Land” and monopolize profits, MacNab was irate. 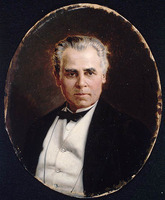 Within a month he sponsored a bill to incorporate the rival Gore Bank at Hamilton, criticized the excessive power of the Upper Canada and Commercial banks, and even temporized on supporting the bill to incorporate York as the city of Toronto. Repercussions were immediate. The Legislative Council not only rejected his bank bill but also began to obstruct his real estate affairs by denying him privileged status at the central registry office and by ignoring his constant demands and complaints. With construction costs for Dundurn escalating, MacNab persevered and did realize some return on his land dealings in 1834. However, ultimate control over land continued to rest with Toronto. By contrast, success was his in the field of banking. In this sphere he gained the support of prominent Hamilton businessmen as well as assistance from assemblymen who desired local banks for their own developing metropolitan areas. The Gore Bank was chartered late in 1835 with MacNab controlling a majority of its shares. At this point he opposed the chartering of further regional banks. Freed of the financial restraints imposed by Toronto, MacNab continued both to expand his commercial domain and to consolidate his local political control. 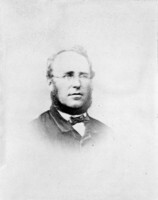 By 1837 he was the operator of a steamship line running between Rochester, Oswego, and Hamilton, the owner of an important dock on Burlington Bay, the chief promoter and president of the Hamilton and Port Dover Railway, an active director of the Great Western Railway, an insatiable land speculator, a builder, renter, and seller of houses and stores, and the owner of a tavern in Hamilton. His railway promotions increased the value of his land and in 1835 and 1837 he sold large blocks at solid profits. 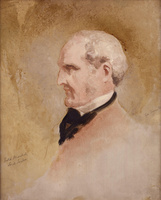 But MacNab’s emphasis on his commercial career helped to split the Wentworth electorate into rural and urban divisions. With the exception of sponsoring town fairs, MacNab paid little attention to the rural vote and in the elections of 1834 he briefly retreated from the county to represent the new seat of Hamilton, the centre of his commercial affairs. Although he was identified as a leading Tory, pragmatism rather than ideology shaped MacNab’s commercial dealings. Tories in Toronto were his most prominent commercial opponents. Ignoring traditional trade channels with Britain, he was quite prepared to envisage the projected Great Western and Hamilton and Port Dover railways (the latter in connection with his steamship line) as mere links between the eastern and western United States. Nor was he loath to approach New York capitalists for financing. 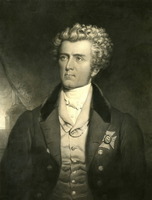 In fact, in the year of the Upper Canadian rebellion he made an impassioned plea for greater immigration of Americans, arguing, unlike most Tories, that “they were a useful and enterprising people and if admitted would be of great advantage to the country.” He acknowledged that he would benefit from the sale of land to immigrants. 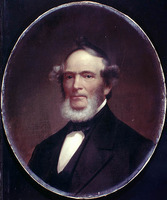 He also criticized British interference in Upper Canadian banking affairs and even argued that British lawyers should be subject to probation before practising law in Upper Canada, as were Canadian lawyers in England. In cultivating his local roots, MacNab was prepared to contravene not only Toronto Tories but also the British Colonial Office. His pragmatic actions show that MacNab is only partly encompassed by the term Tory. A supporter of the clergy reserves, he nonetheless believed that all denominations, including Roman Catholics, should have an equal share in the proceeds from them. Although an Anglican, he often attended a Presbyterian church, married a Catholic for his second wife, and opposed the rising Tory Orangeman Ogle Robert Gowan*, partly because of Gowan’s strong Protestant stance. In 1836, indeed, he proclaimed his independence from all parties and partly in this guise was elected speaker of the house in 1837. Certain Tory tenets did, however, strongly appeal to MacNab in the 1830s. He wanted class lines extended, not lowered or abolished. Even at the height of his conflict with Toronto officials, he favoured an appointed Legislative Council, suggesting only that its membership be made more representative. To be heard in ruling circles and to advance the economic and military policies he sought, MacNab attempted with some success to bypass the council, controlled as it was by Toronto Tories, and deal directly with Lieutenant Governor Sir Francis Bond Head*. In 1836 MacNab opposed responsible government because it would sever ties “with the Mother Country.” Love of the military, while not exclusively a Tory phenomenon, was largely a preoccupation of the ruling group. Also, by building Dundurn Castle MacNab doubtless hoped to gain admission to the centre of the colony’s social élite. But by 1837 it remained to be seen which element in MacNab’s flexible alliance of Tory, commercial, and somewhat liberal characteristics would dominate. The tensions in his personality and world view were brought into sharp focus by Mackenzie’s ill-conceived rebellion in December 1837 and January 1838. With some 65 “hastily collected” men, MacNab sped by steamboat to Toronto where, encouraged by Head, he aspired to command the loyalist forces. Virtually all the British regulars in Toronto had been sent to Lower Canada to help suppress the rebellion there, but in Toronto Colonel James FitzGibbon, a retired British regular and the adjutant-general of militia, refused to play a subordinate role to MacNab. A compromise was effected. Under FitzGibbon’s nominal command, with MacNab leading the “Principal body,” over 1,000 men marched north on 7 December to Montgomery’s Tavern where they routed the rebels. MacNab paid no heed to the complaints and schemes of the regular officers at Toronto who felt they had been ill treated by Head and himself. Following the victory at Montgomery’s Tavern, Head placed MacNab in sole command of troops sent to the London District to suppress rebels led by Charles Duncombe. The quality of MacNab’s leadership was mixed. He faced extreme problems of communication, supply procurement, and control of raw, if eager, volunteers, but he also ignored certain basic operational procedures. He must share responsibility with the Commissariat Department for the hardships and decline in morale occasioned by delays in payment to militia and suppliers. The mobilization of over 1,500 men had been unnecessarily chaotic. As early as 14 December MacNab admitted that he had “at least six times as many men as I require.” However, he defended the value of his force as a threat and as evidence of local enthusiasm, maintaining that “the volunteers joining me in this District [London] would not be pleased to be dismissed and all left to the men of Gore.” In the resultant confusion Duncombe, like Mackenzie before him, escaped to the United States. In his treatment of rebel prisoners, MacNab acted to belie the image of himself as a close-minded Tory. He was able to appreciate degrees of involvement and, on his own initiative, he jailed only rebel leaders and allowed their “deceived” followers to remain free on their own recognizances. He even promised clemency to some. His concern for the common soldier also endeared him to the men under his command. MacNab believed that officers earned their subordinates’ respect not only through courage in war but also by tempering strict justice with kindness and approachability off the battlefield. His relations with the militia were on the whole excellent, and he adroitly deflected criticism of mismanagement to the central command at Toronto and Montreal. 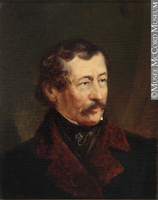 Mackenzie left his American sanctuary, re-entered Canadian territory, and occupied Navy Island on 13 Dec. 1837. 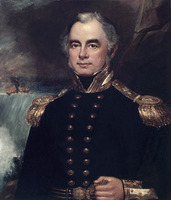 Head continued to ignore his regular officers on staff and on 25 December dispatched the “popular” MacNab, complete with regular officers and naval support, to command forces on the Niagara frontier. 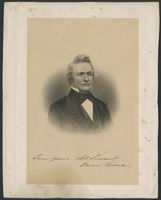 With the active involvement of American sympathizers, the lieutenant governor admitted that the revolt had “assumed a new and different character,” yet both he and MacNab reacted as they had earlier. Upper Canadian volunteers poured toward the frontier – some 2,000 by 29 December and over 3,500 by 10 January – yet supplies and billeting were inadequate and, more important, orders were vague. Head, while refusing to sanction an attack on the island, failed to spell out any alternatives such as a blockade of the island and its American suppliers. Neither MacNab nor Head seemed able to interpret contradictory reports about the strength or morale of their opponents; Colonel C. L. L. Foster*, a competent British regular, remained in Toronto; and Commander-in-Chief Colborne in Montreal was out of touch with the situation. MacNab alternated between drilling and dining. The weakness of the line of command became apparent when a dawn sortie on 29 December led by bibulous officers nearly ended in disaster. MacNab and his militia clearly lacked the discipline necessary for a passive containment of the rebels. Under MacNab’s orders, on the night of 29 December, Andrew Drew*, a retired Royal Navy officer, led a contingent against the Caroline, an American boat supplying the rebels, and destroyed it in American waters. Reaction was swift. An American citizen had been killed, and MacNab was indicted for murder in Erie County, N.Y. American newspapers became increasingly belligerent. 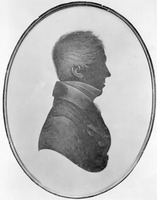 Colborne immediately ordered Colonel Foster to take command of all regular and militia troops in the province, and Colonel Hughes, a British regular, to replace MacNab as commander at Niagara. Protesting that Hughes would receive “all the credit,” although he and the militia had done “all the drudgery,” MacNab finally had to yield to Colborne’s perseverance. MacNab quit the frontier on 14 January, ironically the same night that Mackenzie and his rebels slipped unseen off Navy Island. 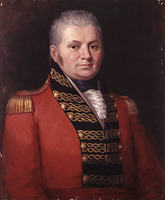 While Colonel Hughes was occupying the nearly deserted island, the displaced MacNab was lobbying in Toronto for his lost command. The intense emotional experience of the rebellion altered MacNab’s flexible posture of the 1830s. A sense of having proven himself, strengthened by receiving a knighthood in March 1838, underlay his belief that the trappings of power and prestige were now rightfully his. 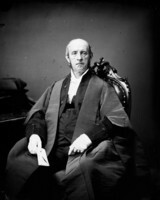 He ignored the criticisms of Chief Justice John Beverley Robinson, William Henry Draper*, and Governor General Colborne concerning his role in the rebellion. He was also unaware that fundamental upheavals were about to occur in Upper Canada’s political and social structure. The decade of the 1840s was a time of complex political and economic change. Union of Upper and Lower Canada in 1841, abolition of the Corn Laws in 1846, and severe financial retrenchment presaged the establishment of responsible government in 1848. MacNab was not alone in his inability or reluctance to adjust to a new set of social, economic, and political priorities. Until the mid 1840s J. S. Cartwright, Henry Sherwood*, and a few other Tories supported MacNab’s criticisms of imperial and domestic policy. Because MacNab was, after the retirement of Christopher Hagerman* early in 1840, the leader of this small group, many have seen him as a caricature of a fossilized Tory. In fact he was not so much the advocate of an abstract political and social structure as he was the defender of his privileged place within the established structure. The vehemence of his resistance to the changes in the 1840s varied directly with his failure to procure a suitable placement. 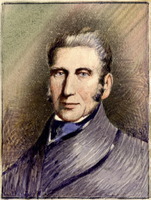 In 1839 the British government and its chief representative in Canada, Charles Poulett Thomson*, soon to be Lord Sydenham, believed that the union of Upper and Lower Canada on the basis of equal representation and moderate, efficient leadership would lead to the assimilation of French Canadians and a more economical administration of the country. MacNab supported the economic aims of Thomson’s union bill, but opposed it on cultural grounds because he felt that French speaking members would dominate the legislature and that Canada’s traditional ties with Britain would be diminished. In March 1839 he, Sherwood, and several other Tories supported Cartwright’s motions designed to secure dominance of the united legislature by loyal Upper Canadians. 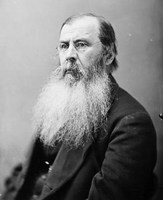 With important conservatives like W. H. Draper voting against them, Cartwright’s motions were rejected. After this defeat MacNab was prepared to work within the new union. 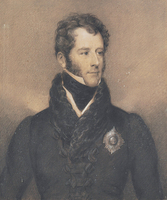 He was even willing to accept Lord John Russell’s definition in 1839 of responsible government: the Executive Council, although representative of the assembly, was responsible solely to the governor general, who was to have the right of executive selection and displacement as well as control of patronage. In this way traditional ties to and ultimate control by the crown would remain inviolate. In this way, too, MacNab assumed, the presence of the loyal could not be ignored. In its relations with Canada during the late 1830s and 1840s the Colonial Office stressed the need for administrative expertise and economy, qualities which MacNab lacked. Financial stringency also directly affected him. His large fees as queen’s counsel (an appointment he received in 1838) were closely scrutinized and only reluctantly granted in 1839 and 1840. Despite MacNab’s protests, general command of the Gore militia was given to a more experienced officer during the Patriot disturbances of June 1838. Not only were MacNab’s recommendations ignored in the militia reorganization of 1839–40, but also, because of cutbacks, he could no longer continue as an active officer. This loss of position meant a lower public profile, fewer patronage outlets, and a smaller cash income. By mid 1841 he had focused his increasing discontent on the governor general. 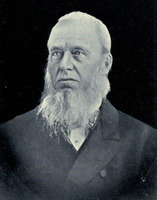 Sydenham encouraged his provincial secretary, Samuel Bealey Harrison, whom he considered a talented political moderate, to seek election in Hamilton because MacNab had indicated he would run in Wentworth. When MacNab stood in Hamilton and defeated Harrison the awkward relations between Sydenham and himself became evident. Unable to agree on the right price for peace, both sides felt “ill-used” and betrayed. By ignoring the loyal, MacNab concluded, Sydenham was subverting the crown’s true policy and must, therefore, be resisted. Unfortunately for MacNab’s credibility, his statement of proper policy came suspiciously close to special pleading – who, after all, was more loyal than the gallant knight? Late in 1844 MacNab began to take stock. Old allies like Cartwright were leaving politics. Personal relations between MacNab and Draper had been strained at least since the Caroline affair. After his disappointments with colonial authorities, differences with Reformers no longer seemed so irreconcilable. Even on the crucial issue of loyalty he publicly admitted that Baldwin passed all tests. In fact he now distrusted Conservatives like Sherwood, who had deserted him on crucial questions in the past, more than many Reformers. The supple pragmatism evident prior to 1837 was beginning to reappear. As he confided to a friend, “perseverance and industry will soon carry me through all my misfortunes.” From 1845 to 1847 his quiescent political behaviour can be attributed to a lucrative involvement in railways. 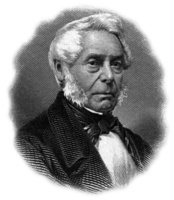 It was Sir Allan who, in July 1851, after consuming “one or two bottles of good port,” fathered the famous phrase “all my politics are railroads.” He was at various times after 1845 president of three companies, chairman of one, and a director of at least two others, involving service on the Great Western, 1845–54; Grand Trunk, 1854–56; Galt and Guelph, 1853–60; Hamilton and Toronto, 1853–56; Hamilton and Port Dover, 1854–60; North-West Transportation, Navigation, and Railway Company, 1858–60. 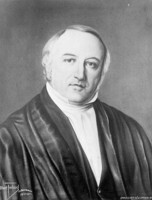 He chaired the assembly’s railway committee seven times between 1848 and 1857. 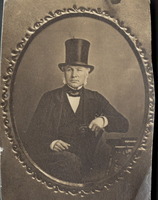 George Brown* accused him of having “managed to make or mar every railroad scheme as he thought proper.” MacNab in his public speeches and private letters encouraged this judgement. As was the case with many of MacNab’s activities, however, the reality was more mundane. In the pre–1850 exploratory period of railway development MacNab’s indomitable energy and questionable scruples stood him in good stead. 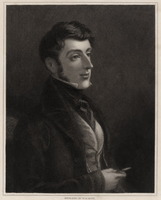 As the Great Western’s president between 1845 and 1849 he was active at home and abroad. He tirelessly disarmed his two major competitors, the Niagara and Detroit Rivers Railway led by John Prince and the Toronto and Goderich Railway led by the venerable Toronto businessman William Allan* and championed in the assembly by MacNab’s rival for the Tory leadership, Henry Sherwood. By branding the former road an arm of American capitalists and the latter an extension of the Canada Company, he gained support for the Great Western. He also made a clandestine arrangement with Prince who, in return for a rumoured emolument, withdrew his road from direct competition for three years. 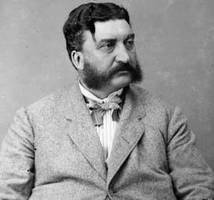 Despite his criticisms of Prince’s financing, MacNab, too, sought money south of the border and for a brief period even employed as an agent William Hamilton Merritt, the financial and political representative of the Niagara and Detroit railway. His contacts with British capitalists reveal a more sordid side of MacNab’s railway career. He unloaded 55,000 Great Western shares to a syndicate headed by the notorious British railway king, George Hudson, who in turn attempted to sell these shares at inflated prices before the first call for capital was due. MacNab and Peter Buchanan* joined the syndicate in selling the as yet worthless stock. It mattered not to the speculator whether the buyer could supply capital beyond the initial premium, though the road could not be constructed if future calls for capital could not be met. Oblivious to this distinction, MacNab made a profit of £2,500. Because of a slumping economy, however; the syndicate could not unload all its shares, nor could it pay the first call. For £5,000 MacNab allowed them to return all but 10,000 shares. The railway’s interests were secondary to those of MacNab’s pocketbook. His profiteering, failure to locate secure sources of capital for the railway, ineptness as a manager, and declining parliamentary influence led to his being deposed as president of the Great Western (although he remained a director) in 1849. For MacNab this was one of a series of setbacks. In 1846 his wife had died. In 1847 he was again unable to secure the adjutant-general ship. 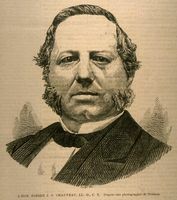 When Draper resigned in May 1847 Sherwood, from whom MacNab could hope for little sufferance, took over as government leader. Nor was he able to effect an alliance with Baldwin because, as one historian has noted, the Reformers were “strong enough . 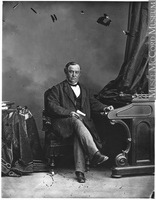 . . to neglect the knight’s approaches.” Although MacNab had been speaker since 1844 and expected re-election in 1848, the new Baldwin-La Fontaine government supported Augustin-Norbert Morin instead. Having over-speculated in land (late in 1845 he and William Cayley* had purchased from George Rolph 145 acres in the town of Dundas for £7,200) his finances were chaotic, and creditors were eager “to put on the screws.” Gout was a constant companion. His frustration and anger were focused by the passage in 1849 of the Rebellion Losses Bill which MacNab believed rewarded past rebel activity. 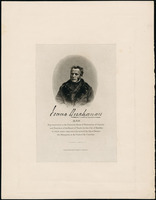 He reverted to the factious and bitter stance characteristic of him in 1843. Sustained by economic discontent in Montreal and scattered Upper Canadian urban centres, he both harangued and vilified Lord Elgin [Bruce], the French, and the “disloyal” Reformers. Unlike some Montreal Tories, however, he did not condone the firing of the parliament buildings and the signing of the Annexation Manifesto. Rather he went to London and again made a personal appeal to higher authorities. Informed by the Colonial Office that British intervention in Canadian affairs by disallowing the act would be a contravention of responsible government, he returned home, defeated and somewhat subdued. The obstreperous, arch-Tory element in MacNab was finally extinguished late in 1849. The moderate element, visible in the pre-rebellion era, came gradually to the fore and allowed him to bridge the gap between the extreme Tory and moderate Conservative factions. His moderate behaviour during the rebellion losses crisis, compared to that of many Tories, stood him in good stead. Gradually he became the Tories’ leading spokesman on major issues. Having eased the leadership from Sherwood in 1849–50, MacNab, in the early 1850s, did his best to keep the high church, old Tory section in check. 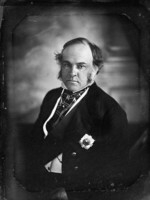 Aware in 1852, as he was in the early 1840s, that parliamentary strength ultimately depended on an alliance with French speaking members, he attempted to undercut the Upper Canadian Reform section of the Hincks-Morin government formed late in 1851 by approaching Joseph-Édouard Cauchon*, an able follower of Morin. Preliminary agreement on an alliance between them which would aim to guarantee “each section of the Province . . . the entire control of their respective legislation and administration” was reached, but the alliance was not put into practice at that date. A supporter of sectarian schools, MacNab also allowed the Conservatives he led to leave the secularization of the clergy reserves, an issue on which he had been moderate since the 1830s, an open question in the election of 1854. MacNab’s moderation in part facilitated the formation in September 1854 of a governing alliance between Upper Canadian Conservatives and the Hincks-Morin Reformers. It was opposed by a few arch-Tories and a larger group of Clear Grits led by George Brown. With MacNab as premier the coalition passed important pieces of legislation – restructuring of the militia, secularization of the clergy reserves, abolition of seigneurial tenure, and a measure to make the Legislative Council elective – which placed MacNab in the vanguard of political reform. The coalition of 1854 was possible because for moderate Conservatives and moderate Reformers, both French and English, economic ties transcended sectarian differences. A shared desire for economic rationalization was coupled with the French Canadian moderate Reformers’ fear of the growing power of the Clear Grits. Like John A. Macdonald*, MacNab would seem to have been direct heir of Draper’s moderate conservatism of the 1840s. MacNab’s political conduct in the 1850s, however, cannot be understood apart from his personal railway affairs. By 1850 specialized talents in railway management were required which MacNab did not have. As he came to realize that he could not wield real power, he increasingly began to covet its trappings. The 1850s were for him a quest for security, an endeavour, as he put it, “to wind up my distracted affairs – and make my children comfortable.” The means he used were often unprincipled. 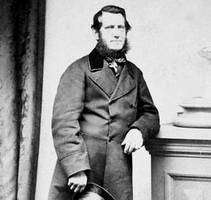 For instance, he had been the Great Western’s president when in 1847 Charles Stuart, the chief engineer, ran his survey through the laird’s domain. As a director in 1851 MacNab sold part of his Burlington Heights property to the railway at an exorbitant price. By 1860 his profits from railways totalled in modern values around $400,000. The Great Western tried to drop MacNab as a director in June 1854, and tentatively promised him a £5,000 retirement gift. MacNab accepted the promise and then turned to the Great Western’s arch-rival, the Grand Trunk Railway, to whose policies concerning rate agreements and general competitive practices he had been inching closer as his relations with the Great Western deteriorated. Thus, the coalition government of 1854, sanctioned by Francis Hincks, a Reformer and long-time Grand Trunk promoter, and by John Ross*, president of that company, was politically palatable to MacNab primarily because as premier he could extort money from the Great Western while extending his influence into Grand Trunk circles. In 1854 one Great Western director pushed for “some immediate arrangement . . . with MacNab for £5000 . . . [to] secure his continuance and support as Head of the Government.” MacNab received the £5,000 in April 1855, but he was not as fortunate with the Grand Trunk. His precarious political control began to slip in 1855 and 1856. 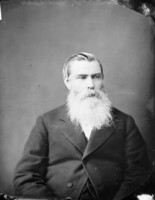 MacNab had rarely been in the assembly because he was crippled by gout, and some of his colleagues felt he had delayed the bill to make the Legislative Council elective. 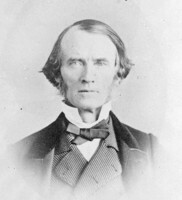 Objecting to the laird’s narrow use of patronage, his increasingly weak leadership, and, no doubt, his attempts to gain power within the Grand Trunk, John Ross resigned from the coalition government in April 1856. Pleading lack of a sectional majority, the rest of the government members from Canada West resigned in May. Carried into the assembly, MacNab denied having opposed any liberal measures proposed by government. 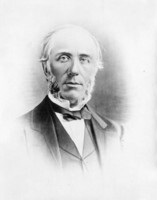 He got no support and resigned, whereupon John A. Macdonald constructed a new ministry including, with the exception of MacNab, most of the old. In November he was ousted as a director of the Grand Trunk. MacNab had played out his options: it seemed to many people that in politics as well as railways he was now totally expendable. One further Great Western payment of 6,000 was given MacNab by its vice-president John Radcliffe, who in turn sought MacNab’s help in purchasing a complex of lines collectively known as the Southern route. MacNab, doubtless amazed a: Radcliffe’s obtuseness, accepted with alacrity. Buttressed by a baronetcy (secured in July 1856 on the recommendation of the sympathetic governor general, Sir Edmund Walker Head and the Great Western’s £6,000 donation, he set sail for England. 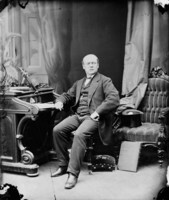 Having achieved nothing for the Great Western, he returned briefly to Canada in 1857 to resign his seat in the legislature, and then went back to England. 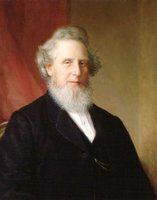 In 1859 he unsuccessfully contested the seat of Brighton in the British House of Commons. Weighted by financial problems and unsaleable land, he returned again to Hamilton to settle his affairs. 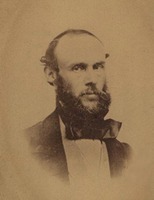 Despite his gout he ran for the Legislative Council for the Western division in 1860, was elected, and became speaker in 1862. MacNab’s move to the Legislative Council was eased by the prospect of a substantial land sale to the Conservative-controlled government. He received $20,000, but it was not enough to satisfy his many creditors. In August 1862 the laird of Dundurn died, a penniless debtor. Even his death was controversial. While creditors argued over his effects, possession of his soul was fought for by the Anglican and Roman Catholic churches. The latter quarrel was won by his strong-willed Roman Catholic sister-in-law, Sophia Stuart. Although in 1855 MacNab’s second daughter Sophia had married an English baron, the Viscount Bury, Sir Allan was left without a male heir. His only son Robert had died in 1834 and thus his many social distinctions could not be passed on. Inept at planning and organization but a promoter and enthusiast in many commercial, military, and political schemes, MacNab cultivated an image at the expense of substance and his triumphs had about them a hollow ring. But because he was not completely of the feudal world or a member of its ruling class, or completely of the world of steam and entrepreneurial activities, he was able to serve as an unsteady link between both. In doing so he reflected many of the contradictions evident in Upper Canada during a period of intense economic, political, and social change. 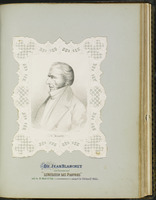 HPL, Ferrie papers; Hamilton biography, Sir Allan Napier MacNab. MTCL, William Allan papers; Robert Baldwin papers; Samuel Peters Jarvis papers. PAC, MG 23, L4; MG 24, A13; A15; A40; B4; B14; B17; D16; D18; E1, 2–40; G20; I25; MG 26, A, 539; RG 1, E3, 21, 49, 54; RG 5, A1, 115, 127, 138, 140–41, 184, 195, 217, 242; RG 7, G16, A, 3; RG 8, I (C series), 610, 924, 1227, 1272, 1274; RG 9, I, B3, 2, 5, 6; RG 30, 1–17. PAO, Cartwright (John Solomon) papers; Gilkinson (William and Jasper T.) papers; Jarvis-Powell papers; Macaulay (John) papers; Robinson (John Beverley) papers; Street (Samuel) papers. PRO, CO 42/439, 42/444. QUA, John Solomon Cartwright papers; Kirkpatrick-Nickle legal records; John Macaulay papers. UTL-TF, ms coll. 56. UWO, 144(Harris family papers). Arthur papers (Sanderson). Can., House of Commons, Journals, 1870, app. 1. Can., Prov. of, Legislative Assembly, Journals, 1841–62. Debates of the Legislative Assembly of United Canada. Elgin-Grey papers (Doughty). Macdonald, Letters (Johnson and Stelmack), I. Opinions of the Canadian press of the Hon. 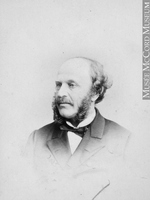 Sir Allan Napier MacNab, bart., late speaker of the House of Commons in Canada (London, 1859). U.C., House of Assembly, Journal, 1830–41. British Colonist (Toronto), 1838–54. Colonial Advocate, 1834. 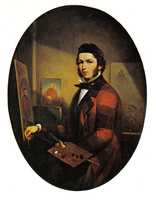 Correspondent and Advocate (Toronto), 1834–36. Examiner (Toronto), 1838–55. Globe, 1845–62. Gore Gazette (Ancaster, [Ont. ]), 1827–29. Hamilton Gazette (Hamilton, [Ont. ]), 1852–55. Hamilton Spectator, 1847–62. 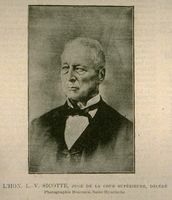 Leader, 1853–58. Times (Hamilton, [Ont. ]), 1858–62. 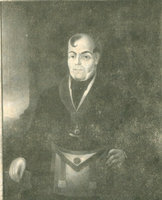 Toronto Patriot, 1832–44. Dent, Canadian portrait gallery, IV. Morgan, Sketches of celebrated Canadians. Notman and Taylor, Portraits of British Americans, II. P. A. Baskerville, “The boardroom and beyond; aspects of the Upper Canadian railroad community” (unpublished phd thesis, Queen’s University, Kingston, Ont., 1973). D. R. Beer, “Transitional toryism in the 1840’s as seen in the political career of Sir Allan MacNab, 1839–1849” (unpublished ma thesis, Queen’s University, 1963). M. F. Campbell, A mountain and a city, the story of Hamilton (Toronto, 1966). Careless, Union of the Canadas. Craig, Upper Canada. [Charles Durand], Reminiscences of Charles Durand of Toronto, barrister (Toronto, 1897). Johnston, Head of the lake (1958). Marion MacRae, MacNab of Dundurn (Toronto and Vancouver, 1971). J. P. Martyn, “Upper Canada and border incidents 1837–38: a study of the troubles on the American frontier following the rebellion of 1837” (unpublished ma thesis, University of Toronto, 1962). C. F. Smith, “The political career of Allan Napier MacNab, 1825–1836; a study in determination” (unpublished ma thesis, University of Guelph, Guelph, Ont., 1971). W. S. Wallace, The knight of Dundurn (Toronto, 1960). Peter Baskerville, “MacNAB, Sir ALLAN NAPIER,” in Dictionary of Canadian Biography, vol. 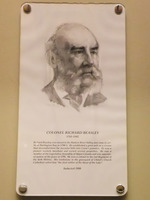 9, University of Toronto/Université Laval, 2003–, accessed April 24, 2019, http://www.biographi.ca/en/bio/macnab_allan_napier_9E.html.